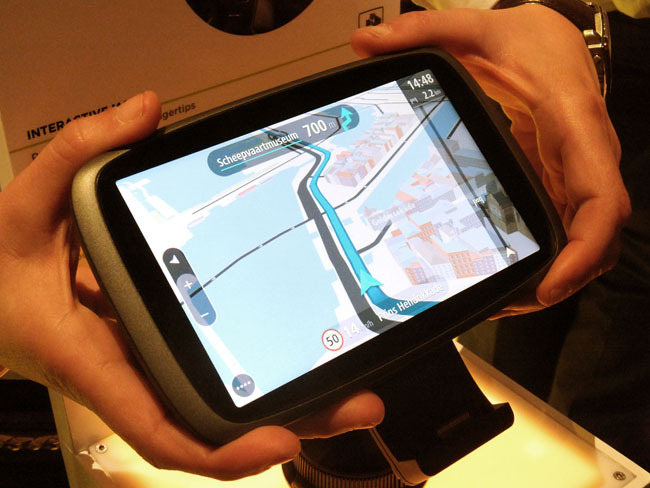 Pics Satnav maker TomTom guided the press - along with automotive and retail partners from all corners of the globe - to Amsterdam on Tuesday for the launch of its next gen satnavs and a new sporty lifestyle product range. The company has form with fitness gear, having teamed up with Nike to deliver its strap-on range of Nike+ GPS SportWatches last year. The Nike+ fitness brand has done the footwear giant proud, with TomTom SVP and senior head of marketing Gary Raucher claiming the SportsWatch partnership has since run up 25 per cent of the market share. 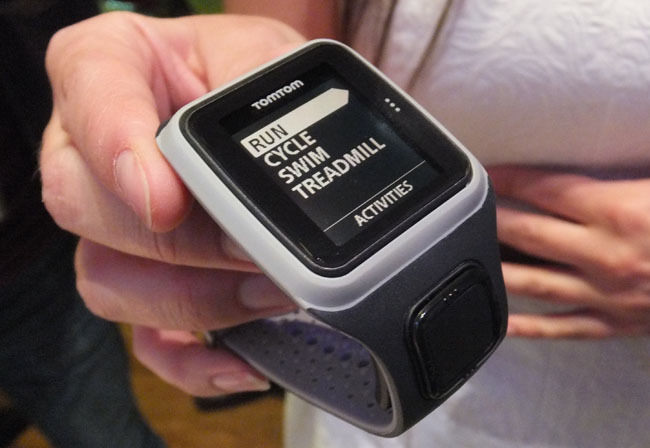 Evidently, TomTom is keen to have some of the burgeoning athletic tech moolah all to itself. At the event it announced two easy-to-use and lightweight (50g) personal training strap-ons, the Runner and Multi-Sport. Now, if TomTom’s message is to be believed these aren’t your ordinary sports watches. These devices are time machines - of sorts. The company’s new mantra is no longer "where do you want to go", but "where do you want to be in the future?" Would you like to run a marathon, swim the Channel or drop a dress size for your wedding? Apparently these new gadgets can get you there, although it might take a while. Call it time travel on a daily basis. 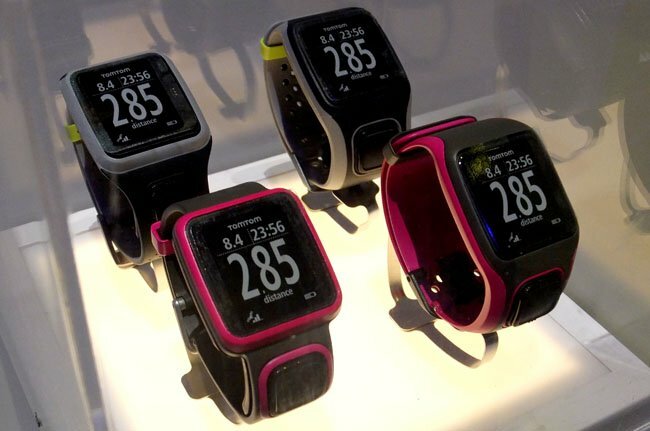 Fitness tech is typically goal-orientated, but getting stats on the move is where TomTom believes it has the edge. The Runner and Multi-Sport follow a one-button-does-all approach. It’s actually a four way navpad, like on mobes of old, and deals with the GPS watch functions, thus minimising the fiddle factor for displaying data. Want to know your distance from the finish line, how many calories you need to burn or how much longer you can swim until for your heart explodes? It's all just a tap or two away. While the features of the Runner are focused on solely the eponymous task (which supports treadmill tracking and training) the Multi-Sport includes swimming and cycling. In GPS mode you get a 10 hour battery life – though TomTom doesn't quote the device's endurance when Bluetooth is enabled. The docking charger also connects to your computer via USB and can be used to upload stats to popular sites; TomTom promises there are multiplatform apps in the works. The on-board Bluetooth can be used to hook up the optional heart rate monitor on both models. There are additional sensors for the Multi-Sport range to measure cadence/speed and altitude. The company regards these two own-brand offerings as just the beginning, and reeled off figures predicting that the strap-on-and-sweat tech market will rake in over $1bn for the first time in 2013. So what of the humble satnav? Has TomTom’s bread and butter gone stale? Raucher explained the company had carried out a “deep dive into the market” to find out the views of 25,000 drivers in Germany, France UK, US and Australia. Apparently, 39 per cent of motorists didn’t use a satnav and only 4 per cent of that segment were considering buying one in the next year. Of the remaining drivers, 39 per cent were still using a portable navigation device (PND), but weren’t planning to upgrade. Mobile navigation use tended to be focused on finding out how to get to places ahead of time, but not actively following instructions in the car. The research revealed there was an "unaddressable market" of satnav refuseniks and contented users alike that TomTom needed to reach. The upshot is the TomTom Commuter Concept, which the company is keen to develop. It’s a simple dashboard device that is less about maps and more about congestion, informing the driver of potential problems rather than instructing them on every inch of the way. As its name implies, this is still just a concept at present. It could, however, sway those who know where they’re going, but would like to get there reliably with up-to-date information on alternative routes while travelling, into purchasing a satnav product. 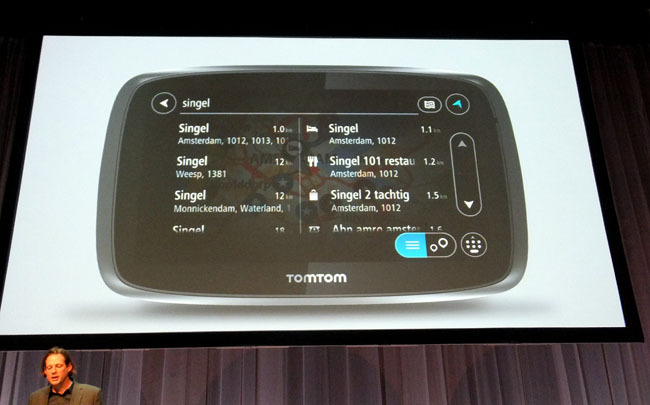 Indeed, the satnav nag syndrome is something that TomTom has taken to heart with its forthcoming Go range refresh, also announced at the event. Besides making it easier to use, the maps now form the main interface with useful info sidebars. The idea is to put the driver back in control. Again, congestion info plays a part and alternative routes are suggested as the realtime traffic info impacts predicted journey times. It will even tell you how much traffic you will encounter based on your speed, thus delivering a much fuller picture of the road conditions than previous satnavs. Also, as mobile phone makers have learned from satnav makers, TomTom has picked up a trick or two from these challengers. The Go series has a capacitive screen, pinch-to-zoom and intuitive search functions that present a dual list of addresses and points of interest as you type. You can also browse the map and zoom in and then pinpoint places to navigate to with a screen tap. If this all sounds a tad familiar, then it’s not surprising. 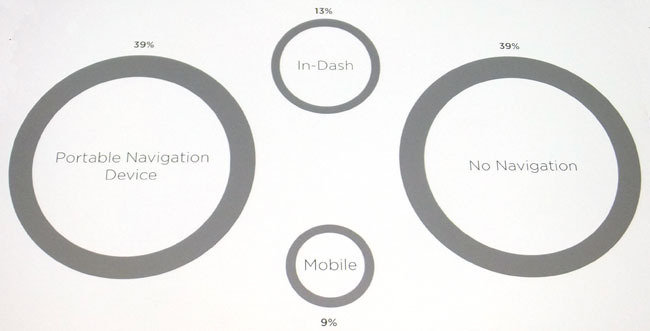 In some respects, the influence of tablets on the interface is to meet user expectations. Yet TomTom seems convinced that the jewel in its crown is the realtime traffic data offering, and offers this as a lifetime service on the new 4.5", 5" and 6" Go models. The company hopes that innovative use of this data beyond conventional warnings will deliver more sophisticated and relevant information to the driver, but with greater subtlety than ever before. Raucher talked up the need for innovation, remarking that perhaps satnavs had been “written off too soon”. El Reg guesses that by this time next year we’ll know for sure, but by branching out into other areas TomTom seems very enthusiastic to give its customers a good run for their money.